Late one evening, a man came to the home of Press Democrat editor Ernest Finley to warn him about death threats made by Oates. "If I were you, I would get out of town for a few days. Take a trip to San Francisco until Oates cools off. He says he is going to cut your heart out." Finley cooly replied, "[G]o back and tell Oates, tell him for me that I said he will never cut anybody up, because he hasn't got the guts. Tell him I said he had been talking around here for thirty years about killing people, but in that time the only man he ever tackled was a cripple, and then if the crowd had not been prevented, the cripple would have beaten him to death with his crutch." It's a spiteful little story intended to make Oates look a fool, but the joke was on Finley - he didn't know Oates actually had killed a man. From a biography of Oates' brother, we learn that he shot someone dead in a fit of anger when he was sixteen, and was acquitted only after his brother paid a "considerable sum of money" to the prosecutor - who happened to be the father of the victim. Apparently no one in the West knew of his crime; in her oral history, Helen Comstock said the story was told that Oates had shot a man, but not fatally. Finley's tale appeared in "Santa Rosans I Have Known," a compilation of profiles he penned for the newspaper which were gathered together into a book after he died in 1942. Oates was the only "pioneer" he disparaged, and the essay rankled Hilliard Comstock, who told his family he thought it was mean-spirited of Finley to insult the memory of an honorable man. While there's no doubt that Oates was a hothead of legendary proportions, Finley certainly confused facts, and might have confabulated parts of the story. Finley's late night visit could not have happened before Oates bought his first car in August, 1908 - yet the event that supposedly sent Oates into a rage was Finley's criticism of "his" city charter, which had been adopted back in 1904 (the PD editorial mentioned by Finley appeared on Sept. 14 of that year). Also, he claimed this all happened when Oates was city attorney, which was in 1912. And lastly, Finley misidentified his brother as a senator instead of a congressman. Finley's lack of factchecking aside, I'm unable to find evidence the other two anecdotes he mentioned even happened. Finley wrote that Oates once led the local delegation to the Democratic party state convention, but stormed out when "he could not have his way." Oates was a delegate for many years, but only was Sonoma County chairman in 1892. No mention of an incident like that can be found in local or state papers. I also can't find any account of Oates being beaten by a "cripple," although that story is harder to sleuth because no year is mentioned. 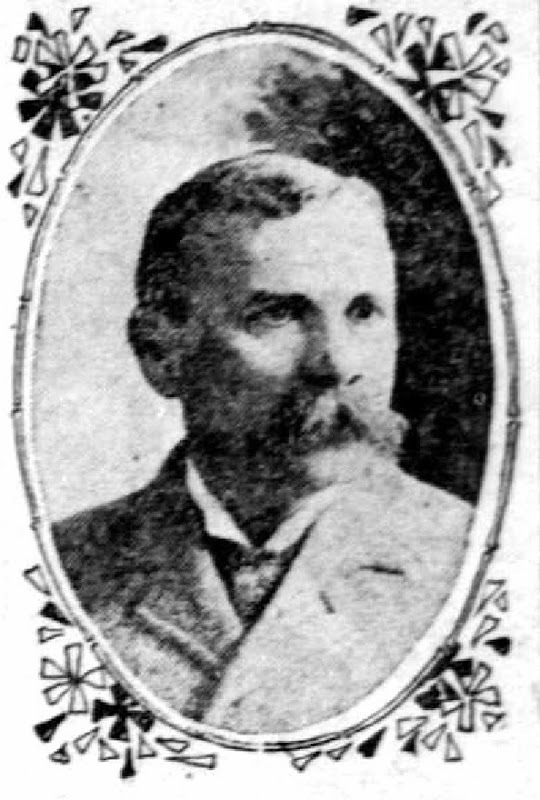 John M. Carter was a Santa Rosa councilman from 1896 to 1904, but Finley wrote vaguely that the incident happened when he was "a member or perhaps a former member of the city council." While it wouldn't be surprising to learn there was a scrap (see above, re: Oates, hothead), I doubt it was nearly as dramatic as Finley claimed. Like Sherlock's "dog that didn't bark in the night," the lack of evidence is evidence itself. Newspapers of the day loved this kind of juicy story, often giving it front-page coverage. (In fact, I stumbled across just such an item while researching 1892 politics: Following election primaries in Los Angeles, a man named Ignacio Bilderrain cracked a political foe's head open with his cane.) If a man as prominent as Oates really had been badly beaten with a crutch, it undoubtedly would have been reported far and wide. Why Ernest L. Finley felt the need to posthumously whack James W. Oates is a mystery. They didn't appear to be bitter personal enemies; Finley attended a 1906 card party at (what would become known as) Comstock House. Won first prize, even. My guess is that clues can be found in Finley's opening sentence: "Oates came here as a young lawyer from Alabama, expecting to control Democratic policies in Sonoma County." Yes, Oates wanted to launch himself into politics, but Sonoma County's political world was controlled by a "good ol' boy" clique. Oates lacked the temperament to be a cog in anyone else's political machine, and famously always said he had no interest in dealing with people who he felt weren't "square" with him. Oates also didn't have the Missouri pedigree that greased entry into the clique. In all ways, he was the unwelcome black sheep. By contrast, Finley was always the defender of the good ol' boys, and his Press Democrat was their official organ. His editorials viciously attacked anyone who challenged the status quo, much as he savaged Oates in this profile. Perhaps here Finley was settling (very) old scores related to Oates' threat to their power. Or perhaps Finley simply didn't like black sheep who didn't get along with his pals. Colonel Oates is one of the latest devotees of the automobile and he has purchased a fine machine. For a long time the Colonel has had the "auto fever" and finally the impulse to own a car became irresistible. James Wyatt Oates came here as a young lawyer from Alabama, expecting to control Democratic policies in Sonoma County. A man of many fine qualities, he possessed none of the attributes of political leadership and died a disappointed man. He could not brook opposition in any form, and when opposed either developed a violent fit of temper or gave up the fight. He once went to a state convention in Sacramento as the head of a delegation from this county, and he could not have his way jumped on the train and came home, leaving the delegates to work out their salvation alone. Oates came out of a prominent Alabama family, a brother being governor of that state and afterwards United States senator. He talked a great deal about the South, and frequently boasted about being a great fighter, but he usually managed to keep the peace. One night about 11:30 o'clock, a then well-known automobile salesman here drove up to my house, rang the doorbell and said he wanted to talk to me. I had not yet retired and we went for a drive. It appeared that he had sold Oates an automobile and delivery had been taken that day in San Francisco. When he and the salesmen were driving home together, Oates, then city attorney, had begun talking about the new city charter at that time up for adoption. We did not consider it much of an improvement over the old one and had said so editorially. Oates considered himself responsible for the charter, having prepared a good part of it, and he had argued himself into the belief that the paper's opposition was prompted by personal feeling. This was not true, but as he talked he grew extremely angry and became greatly excited. "If I were you, I would get out of town for a few days," said the automobile man. "Take a trip to San Francisco until Oates cools off. He says he is going to cut your heart out." "Do you want to do something for me?" I inquired with grade apparent solicitude. "I certainly do," replied my friend. "Then go back and tell Oates, tell him for me that I said he will never cut anybody up, because he hasn't got the guts. Tell him I said he had been talking around here for thirty years about killing people, but in that time the only man he ever tackled was a cripple, and then if the crowd had not been prevented, the cripple would have beaten him to death with his crutch." Not too long before Oates had passed John M. Carter, a member or perhaps a former member of the city council, while the latter was seated in his buggy. Some altercation arose and Oates attempted to strike Carter. The latter, a one-legged man, jumped clear out over the buggy wheel and onto the sidewalk, brandishing and striking out with his single crutch in a deadly fashion. He was an angry man, but bystanders prevented serious casualties. No man could have been more courteous and charming in his own home than James W Oates. He entertained extensively, and had many warm friends. He could be a delightful companion wanted he chose, but he possessed an unfortunate disposition that in time caused him disappointment and sorrow, and brought pain and anguish to some who were extremely near and dear to him. Oates enjoyed a good law practice here for many years, confining himself largely to probate practice. He would have gone further and gotten much more pleasure out of life if his had been a less tempestuous nature. Once upon a time there was a ranch outside Boonville where they raised special pigeons for their down, which was used to make the finest cloth. Tended by 75 mountain men who never left (and who doubtless only spoke Boontling), the flock was so enormous that it would obscure the sun for hours when the birds took flight. Really! No, not really. It was a tall tale - a once-popular genre of newspaper stories sometimes called "quaints" that were intended to fool readers (and if possible, reporters and editors) as introduced in an earlier essay. Here, traveling salesman I. F. Ramacciotti pulls one over on The Denver Post, the hoax mirthfully reprinted by the Press Democrat. The PD's introduction suggested that "Rammi" was familiar to locals, although I suspect he was a seasonal visitor known mostly to the businessmen who idled in the downtown saloons. He had no direct ties to Santa Rosa, living most of his adult life in San Francisco; I can find only a single reference of him being in Sonoma County, and that appeared in an advertisement just a year before his death. When he died in 1911, neither paper mentioned his passing, so it's safe to assume he had no family or deep frendships here. But the more I stirred around through his dust, the more he intrigued. He was such a fine example of a guy who struggled his hardest to make a go of it in the late 19th century West, yet never found traction. He couldn't leverage his good connections back East, and apparently couldn't (or wouldn't) tap relatives for a grubstake. In California he became a hustler who could obviously spin a swell yarn; he owned a business (briefly); he was also a deputy, and after that allegedly a crook. He was truly the spiritual ancestor of poor, damned, Willy Loman, the everyman supremely confident that fortune would fall into his lap if he only kept plugging away. Italo was settled in San Francisco by the time he was thirty with a wife and two young children. Voter records list him as a "manufacturer" in 1886, a clerk two years later, then an "agent" in 1889. The next year he was a deputy sheriff, assigned as bailiff for a Superior Court judge. Asked why the sheriff had replaced the existing bailiff, he was quoted in the SF Call as saying he believed Ramacciotti was a better man. For the next twenty years his trail is cold, except for 1896, when he was arrested on three counts of forgery and one of obtaining goods under false pretenses. He was charged with passing forged checks made out to himself to two San Francisco grocers, and passing another fake check in Los Angeles. None of the amounts were over $25. According to the Call newspaper, Ramacciotti was "a small politician" and recently "a traveler for the well-known St. Lous brewers, Anheuser & Busch." One of the articles sneered, "Ramacciotti is well known in this City and has held various positions of trust, but on more than one occasion was found wanting." Was he behind bars at the turn of the century? Of all the millions of newspaper pages and old documents now available through the Internet, nothing can be (currently) found. Except for this pigeon nonsense, we don't hear again of him until 1910, when opportunity's door appeared to open. Thanks to his father and elder brother who took over the string-winding biz, the family name was famous in the music world, and now I. F. Ramacciotti became president of the Manufacturers' Piano Company, San Francisco. Both the job title and company name were misleading, however. The Manufacturers' Piano Company actually manufactured nothing - it was a nationwide retailer based in Chicago, and "president" I. F. Ramacciotti owned something like a franchise. They sold obscure brands of generally poor quality - yet the company prospered for about thirty years, thanks to a unique business model. Piano stores at the time were like awful car dealerships; no prices were marked, and unless you were foolish enough to pay the arbitrary price quoted by a salesman, you dickered over the cost. At a Manufacturers' store, however, there was a sticker price posted on every piano. Ramacciotti's store seems to have had everything going for it, including a prestigious address on San Francisco's Sutter Street "piano row," but he couldn't make a go of it; the display room opened in February and was closed by July. The trade press then reported he was traveling East to "settle all existing obligations, for which ample funds will be provided." It sounds like it may have been an expensive trip - maybe ruinously so. The last we hear about Italo is in Santa Rosa, appropriately enough. A couple of months after his store closed, he was in town to liquidate the stock of the Barrett & Decker music store at 250 B Street. The ad that appeared in the Republican paper called him a "factory representative." I. F. Ramacciotti died on Nov. 9, 1911, his minimalist obituary published in the San Francisco papers by his Elks lodge. He was 58. He likely died a salesman still, even though success always eluded. Hopefully for him it was enough that there would always be something that he could find to sell, and a real corker of a story he could tell along the way. HIS LATEST STORY IS A "CORKER"
"I. F. Ramacciotti of San Francisco, one of the principal owners of a unique industry, is at the Oxford. He has a pigeon farm of 10,000 acres situated on an almost impenetrable mountain top, not far from Boonville, Mendocino County, California. 30 miles from the Pacific coast. The company has 80,000 pigeons and the down is mixed with Australian wool and a cloth of the finest texture made. The wool is bought by the Oregon Wool Company, which pays $2.90 per pound for the down to the owners of the pigeon farm. "The industry is the result of a secret discovered by George Maxwell, Santa Rosa, Cal. The feed given the pigeons makes the down valuable. There is a trick in the shearing of them that no one else in the world is said to know except the employees of this particular farm. Mr. Ramacciotti says it has cost a fortune to start the unique industry, but it is now on a paying basis. "The farm had its inception from a flock of about 300 fancy imported pigeons brought to America from Australia by Mr. Maxwell. 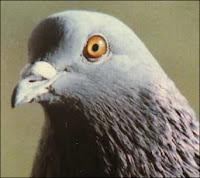 They cost about 60 cents each and the duty and other incidentals run the cost of each pigeon up to $1 before they were installed in California. The average loss in the number of pigeons about 3 per cent in shearing. In the past it has been the practice to kill the pigeons after they were sheared about three times and bury them instead of selling them for squabs, as they were too old. "Each pigeon gives from 2 to 3 ounces of down at each shearing. They are breeding so rapidly that the owners cannot keep track of them. The pigeons are allowed to fly about the farm and never leave it. And most of them are in action the sun is obscured for hours. "There are about 75 employees on the farm and many of them have never seen a railroad train. They were born in the mountains and are content to live their lives as caretakers of the big flock of pigeons. The farm is worth about $4 per acre. It was established five years and in that time only one man has visited it. He promised on honor not to reveal anything he saw. Two of the men with shotguns guard the place at all times of the day and night." Santa Rosa's water wars ended in 1907, when post-earthquake upgrades allowed it to provide a reliable (albeit foul-tasting) water supply. But water woes continued because the town screwed up installation of the new water meters. Santa Rosa introduced water meters in 1905 after years of fumbled efforts to enforce conservation. Policemen, firemen and city inspectors were turned into water cops, empowered to write hefty $2.50 citations for leaky faucets. Lawns could be watered only at certain times of the day announced by a steam whistle, and there were additional monthly fees for every water fixture (having an indoor toilet cost 25¢ and was worth every penny). Once meters were installed, each home was supposed to be billed only for water use over 10,000 gallons/month. In theory. As it turns out, the city inspectors should have been keeping a close watch on the guys installing the expensive new meters. In one case mentioned below, two homes shared the same meter - an arrangement the owners asked the city council for permission to continue, as it would be expensive and bothersome to install separate water lines for each house (the request was denied). In a far more outrageous SNAFU, it was revealed that five businesses - including a bakery and one of Santa Rosa's largest saloons - were connected through a water meter for a private residence. The homeowner understandably refused to pay the excess-use water bill, so the city shut off the meter, and thus the water supply to the home and businesses alike. Two of the businesses agreed to pay the flat business rate, but the other two balked, leaving the water turned off. "Without the necessary water, sinks and toilets go without flushing and the neighbors are wondering 'how about the sanitary condition' of the block," commented the letter's author. Like Banquo's ghost, Santa Rosa's free water spook will not down, but comes up to flap its dry cerements around the town. The domestic 10,000 gallons frequently fail to flow, or will flow in a flood, the meters fail to meet the matter and the claims for the excess liquid fall of liquidation. A property owner who is paying his water bond tax had his water shut off and is carrying the question into a court of law. Two citizens appeared before the city council Tuesday night asking that the single meter which marks the gallons of water running into their two separate residences, and into no other, be permitted to do double duty for the present. The petitioners gave as a reason for the request that the change, the laying of extra pipes, the digging of trenches through lawns would cost them fully $30. The extra meter room cost the city about $8. Mr. Ross, one of the petitioners, thought that even if the city would not consider the matter of saving a property owner $30 [in] these rather hard times, by the simple exercise of a little discretion, it might in view of the fact that the public warrants are held up every month by reason of municipal poverty, hold on to that $8. Notwithstanding the fact of that three practical councilmen were ready to grant the request, it was turned down because the water ordinance called for a meter at each and every residence, and the council proceeded to order $400 worth of meters. Mr. Ross will have a nice new meter in front of his home, which will be $8 off his $30 bill. On the north side of Fourth Street are five business places--Ketterlin Bros. hardware store, Young Bros. store, Greek-American Candy Kitchen, Santa Rosa Bakery and the Germania saloon, which are all hooked on to the meter in front of the residence on Fifth street occupied by Mrs. Gore. There are no other meters in the bunch of six places. The July excess bill amounting to $14 was sent to Mrs. Gore and the August bill amounting to about $4 went to the same person. She declined to pay the bills on the ground of that she is away from her home all day employed in a restaurant, and her two roomers occupy the building only at night, also that five other places were included. Yesterday the water was turned off at the meter on Fifth street and the six places went dry. Young Brothers and the Germania proprietor finally paid their flat rate bills for the two months, but they are still without water because the other four parties have not settled. The inmates are without the necessary water, sinks and toilets go without flushing and the neighbors are wondering "how about the sanitary condition" of the block. One of the waterless storekeepers says he will stand pat even if the Board of Health takes a hand. So the ghost will not down, the meters will not meet and the free water will not be free. Nearly every year, one of the Santa Rosa newspapers produced a promotional supplement on the wonders of Sonoma County: A great place to start a farm, build a factory, or just settle down. Santa Rosa itself was overflowing with churches, secure banks, Luther Burbank, and prosperous businesses; they would praise the leather tanning companies, the fruit canneries, the flour mill, the pharmacies and even the hardware stores. Yet they never, ever, boasted of the town's casket factory. Until 1908, Kobes & Huntington provided almost everything a contractor might need to finish a building - or that a downtown business might need for repairs after Saturday night drunken revelries. The shop, which was in Railroad Square at 115-121 Fifth Street (currently the large, white warehouse across from the Last Day Saloon), sold plate glass and art glass, mirrors, bank and saloon fixtures, stairways, refrigerators and all kind of mouldings and other millwork made on the premises. But from 1908 forward, they turned out one thing only: Redwood caskets and coffins. Almost immediately the company was the second-largest coffin maker in the state, their assembly line building up to 700 caskets a month under exclusive contract to a San Francisco dealer. It was certainly one of the most successful Santa Rosa businesses and was in the process of expanding rapidly, all good reasons for the newspapers to tout the company in their annual supplements and town boosters to point at it with considerable pride. Yet except for one small article about the changeover - which only appeared in the Press Democrat on a slow news day - locals were quiet about the busy factory on Fifth street. Quiet as a tomb, you could even say. Few residents of Santa Rosa are aware that the second-largest manufacturing plant for caskets in California is located in the city, and is turning out from 400 to 700 coffins of various sizes monthly. Such is the fact. 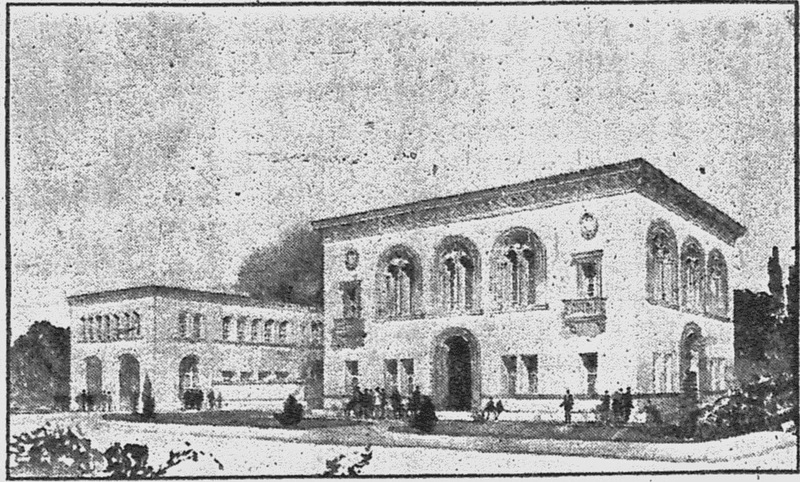 Kobes & Huntington, who for a number of years conducted a planing mill and cabinet shop on Fifth street, some months ago secured a contract from the San Francisco Casket Co., of San Francisco, to furnish them caskets and boxes for the next eight years, and the plant was remodeled to make it suitable for the new purpose for which it was to be used. Over $2,000 worth of additional machinery was installed and for some time past now shipments of a car of caskets has been made weekly, and two cars of boxes monthly. The manufacture of such quantities of caskets requires 40,000 feet of lumber per month, and the firm has now on hand 250,000 feet. The lumber must be bone dry, the steps are being taken to secure a steady supply from one mill during the lifetime of the contract. A steam plant is to be installed this fall for the purpose of having a place to kiln dry lumber, and also furnish a steam room where the boards maybe bench to be used the making of coffins. In trade parlance there is a difference between caskets and coffins. The firm makes at present four styles of caskets, the square, which is the cheapest grade; the octagon, the elliptical and the chancellor. These all take their names more or less from their shapes. The "coffin" is different from any of them in that it takes the peculiar shape given it while the material is heated by steam before being put together. The redwood lumber to be used in the manufacture of caskets is cut into various lengths before being taken into the shop and loaded on hand trucks. It is then wheeled to the various parts of the shop where it is to be used and machinery cuts it into the desired shapes, makes the moldings, cuts holes for the various attachments, and then it is taken to the assembling room. Here skilled men put it together rapidly. There is little or no waste. The smaller pieces are all used in making the small sections and even sticks not larger than good kindling are used in forming the rounded head board confined between two veneer boards and glued in place. In all nine men are employed in the shop and each one does only his part of the work as it passes along from bench to bench. The caskets when completed are shipped to San Francisco where they are covered and finished into the handsome products seen in many undertaking parlors. The question is often asked what becomes of the caskets made? The State Board of Health reported 2900 deaths for June, and there had to be a casket for each body. The Santa Francisco dealers furnish a large share of the supply for the Islands and Oriental trade, so it will be seen there is a large demand.